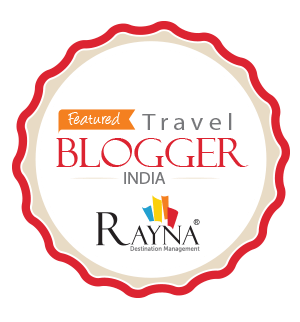 It’s festival season here in India and with all the Diwali and Dusshera Melas happening around the country, why should Food take a back seat. 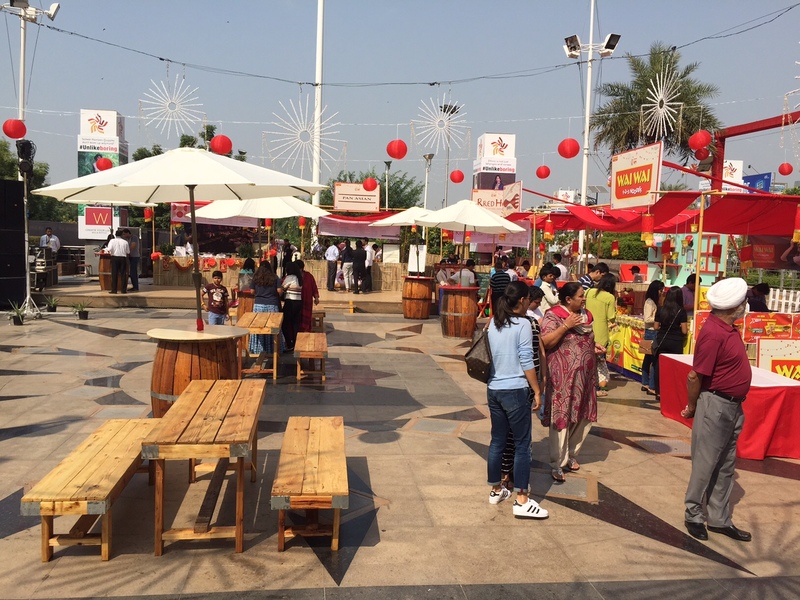 As a result, we have not one, not two, but four big Food Festivals happening in the Delhi-NCR region and this is not counting the other much smaller and locality-based food festivals that seem to be cropping up quite regularly. 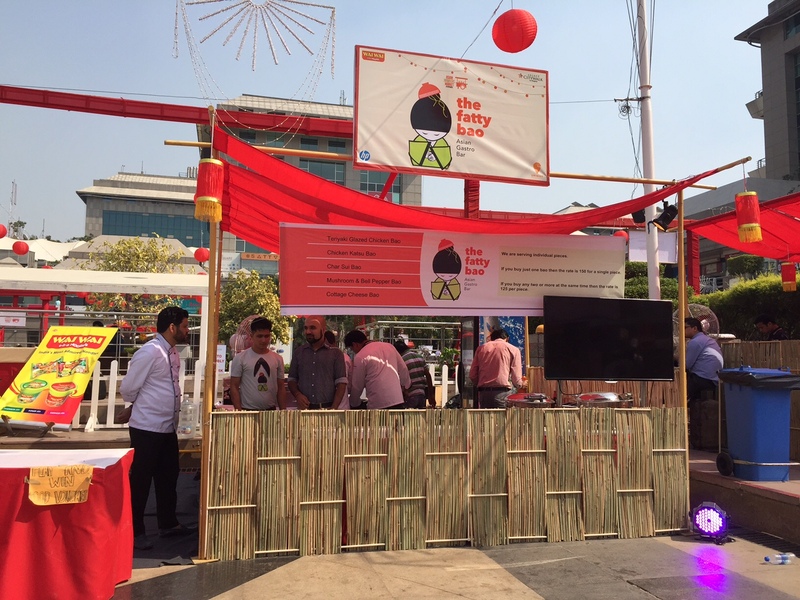 Like most good ideas, food festivals have also been picked up by many different organisers at the same time who are now attempting to outdo one another. While their social media presence has been dismal (I still don’t understand why social media is taken so lightly by the food industry; maybe the fear of negative comments is higher?) there have been print adverts and a lot of blogger/media coverage on the festivals. Although I complained earlier about three festivals happening over the same weekend, what this has resulted in is crowd control. It might not have been a great business decision, but as a consumer, it works because although I might skip one or two of these, I at least don’t have to spend hours waiting in long lines only to find mass-produced food that completely takes away from the point of having a “food festival”. 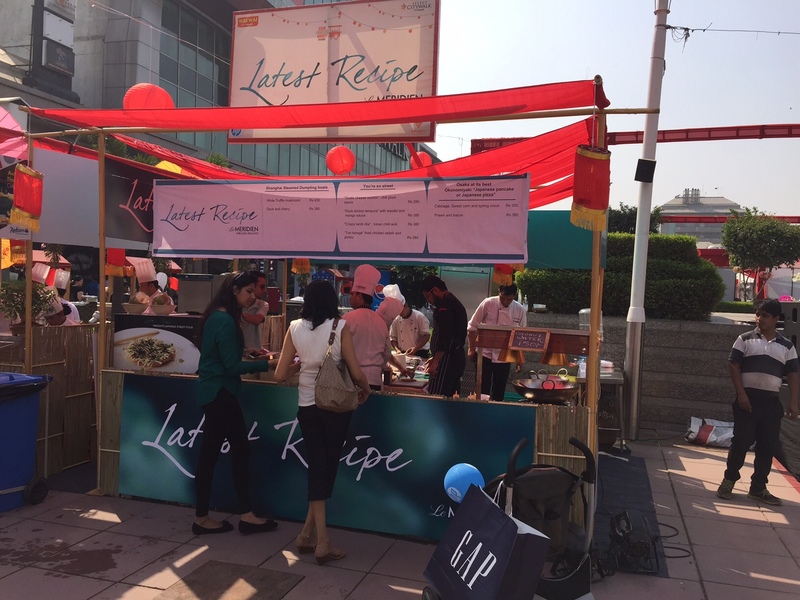 My first introduction to a locally produced Food Festivals happened to be at the Asian Hawkers Market over at Select CityWalk, Saket, New Delhi. Cute little-decorated booths out in the blistering sun with a huge stage set for performances later in the day, arriving at exactly noon – when the festival officially opens – wasn’t a great idea for most stalls were still in the process of getting ready. It took another half hour before I could get a Bao in my tummy and thank heavens it turned out to be quite yummy (and you thought I couldn’t do poems). But wait, food comes a little later with my hot picks and misses from the event. What I want to specially mention is that the Asian Hawkers Market stayed true to its name. 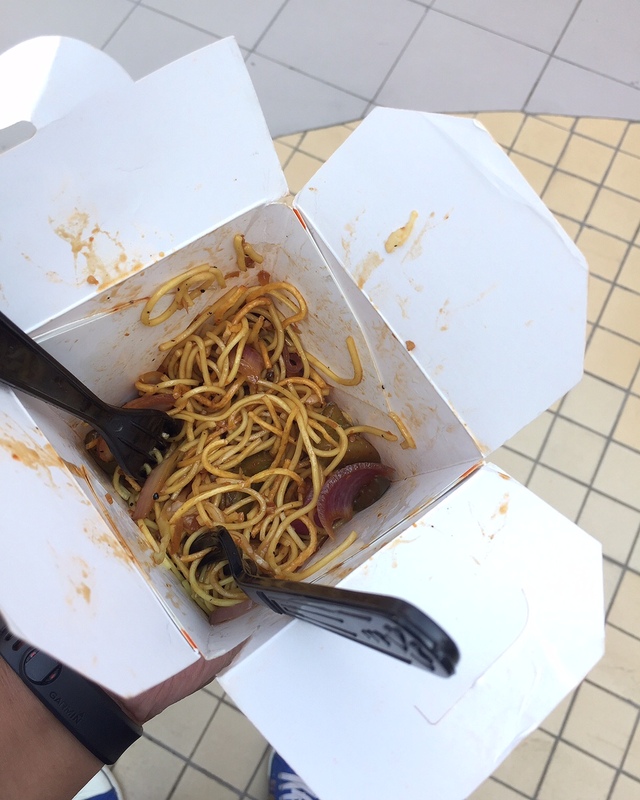 We have Asian fare all around and just that. There was no Cholla Bhatura or Naan Daal stand in between Sushi, Noodles, and other Asian dishes whose names I can’t even pronounce. Even the restaurants that serve multiple cuisines stuck with only their Asian dishes for the festival. 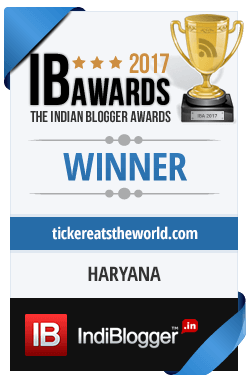 That for me was something commendable on the part of the organisers because it’s very easy to get carried away and give away stalls to every Vada Pav, Dosa, or Kebab supplier in exchange for more profits. 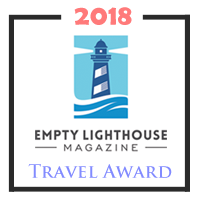 The lack of any other cuisine brought about the kind of authenticity that should be cherished by those serving the food and especially by those consuming it. Now, we can move on to the star attraction of the festival, that is, Food. I must confess that I skipped a number of stalls simply because either I’ve tasted food from them at an earlier date or they have restaurants in my proximity so I could visit them easily later. I want to mention that Mamagoto and Sushi House are two options that I’ve tried in the past and loved and thus should not be missed. 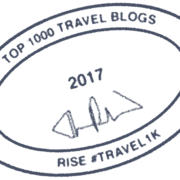 Showcasing food is important and instead of having a lot on offer it was pleasant to see restaurants pick their signature and popular offerings rather than having everything and anything to please the customers. At The Fatty Bao I tried their Teriyaki Glazed Chicken Bao which came with strong Asian flavours, an as-soft-as-a-baby’s-bum warm bun, spicy with the good kind of hotness, fresh ingredients, and moist, juicy chicken. This little preparation gets two thumbs up for being simple and yet full of interesting tastes. One little suggestion I did leave for them (which they acknowledged and rectified), was serving the Bao wrapped in tissue around the bun as this led to me spending the first couple of minutes separating the two. But that’s just me being microscopic. Next up it was time for sushi. I’m mad about sushi and think of it as little rolls of heaven, with an expensive ticket because sadly cheap and sushi does not go together. 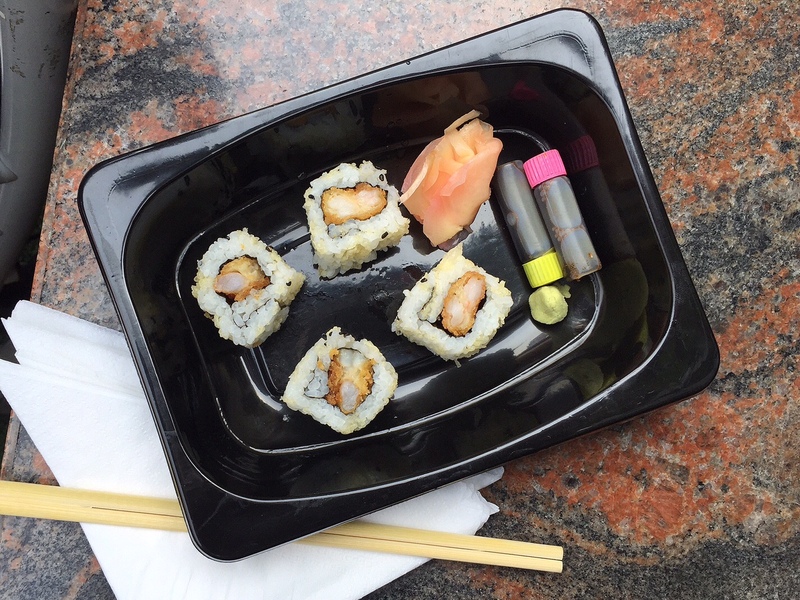 There’s a lot of sushi at the festival and picking the right one can be daunting. 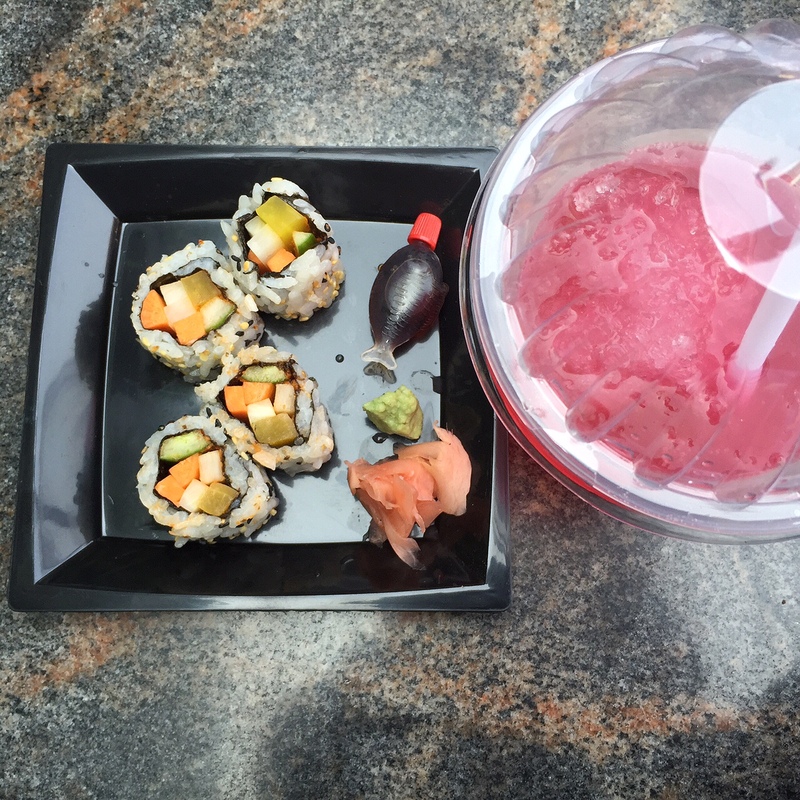 Sushi Haus, I’ve ordered from in the past, and you can actually read my review on the blog. So, I first tried the Japanese Vegetarian Rolls from Guppy By Ai which turned out to be a little disappointing. Flavour wise just about acceptable the rolls were uneven and lacked any real finesse. They reminded me of the packed sushi I get from Tesco which too comes with the soya sauce in the little fish shaped tube. The Wasabi though was punchy and opened my blocked nose, just the way I like it. I did, however, notice that they offer Miso Ramen which went un-tasted but sounds delicious from the way it was described. Give it a try if you can. Even if I was a little disappointed by the “vegetarian sushi” – which I nevertheless gobbled up – my favourite pick from the event, besides the Bao, was the Ebi Panko Uramaki from En. Their crispy fried prawn sushi was exactly what was needed. Light, delicate, evenly rolled out sushi, it was just perfect with a lovely crunch. The wasabi though was a lot milder from what I expected but then that increased the flavour profile (I hear people like using words such as “flavour profile” and “palate” a lot in their reviews, so I’m going to give that a try now, bear with me) of the actual sushi. 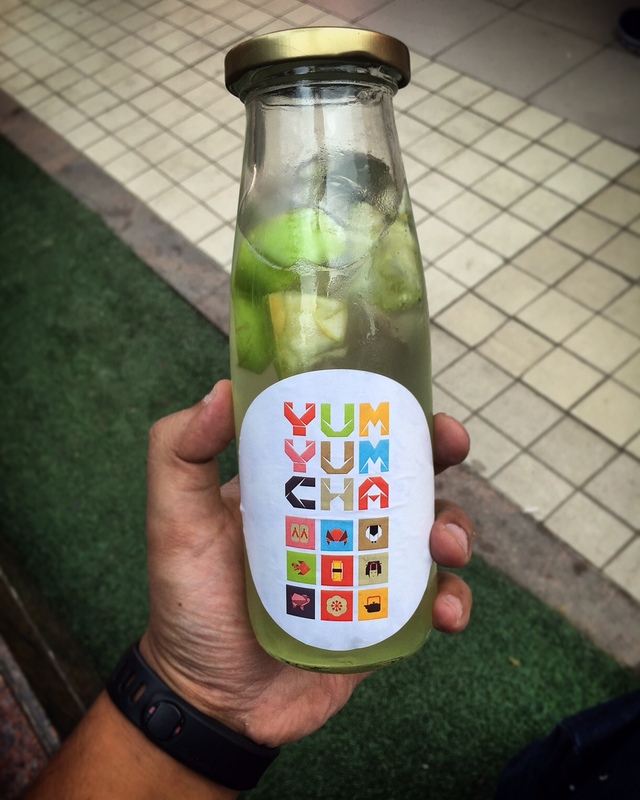 Some other quick bites and mentions from the festival are the Yum Yum Cha’s Green Apple (they had a couple more flavours) drink that had a refreshing absence of any sugary taste. Perfect for a hot day, served in a takeaway bottle, with a beautiful label, and of course a very natural taste. They were also serving a special Japanese ice-cream (or was it just Asian ice-cream) that I didn’t get a chance to eat but it looked very interesting. The Vegetarian Hakka noodles from Social were a little spicy for the kids but as an adult (physical appearance only) I enjoyed the taste, the stringiness of the noodles which stayed separate (what I like), a hint of crunchiness, and not to forget minimal use of other ingredients like onions and paneer. 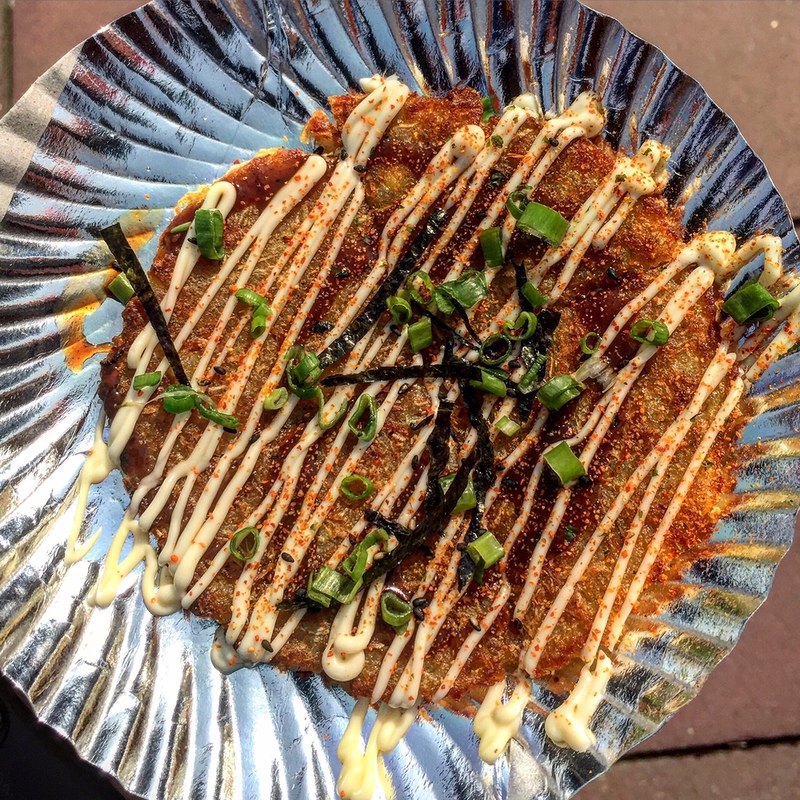 Lastly, there was Okonomiyaki – Japanese Pancakes/Pizza from Latest Recipe or as I like to call it, a thin Alloo Tikki with lots of Japanese-Asian flavours on top. Liked it nevertheless, and the nori strips are a lovely addition. The sauce on top though was the star with its tangy, smooth flavour that worked well with the crispness of the base. 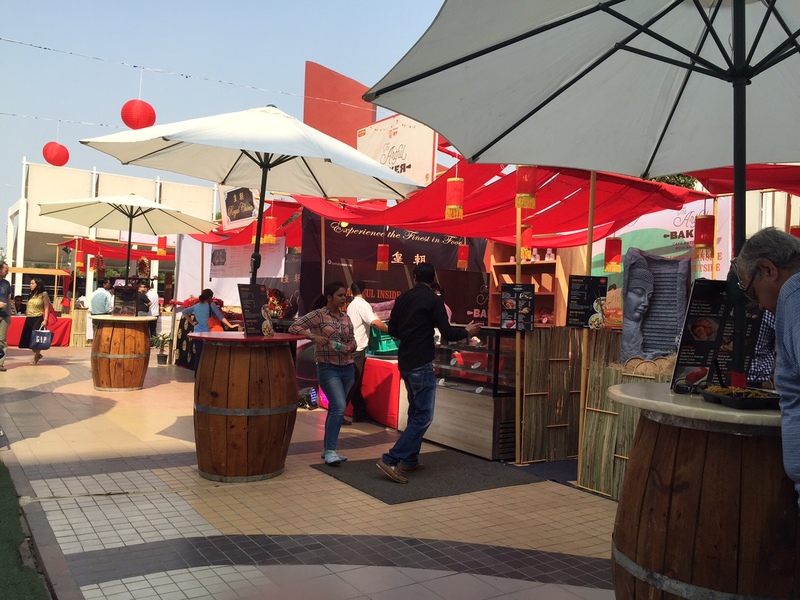 It seems food festivals are here to stay and it was a pleasure seeing one that was well executed. It stayed true to food and didn’t try to fit in too many things and that made all the difference. As of now, I can’t wait to visit the Asian Hawkers Market whenever it happens again. Food is actually a very important part of my life and not only when I travel. I always go to food festivals and try to taste as many dishes as possible. 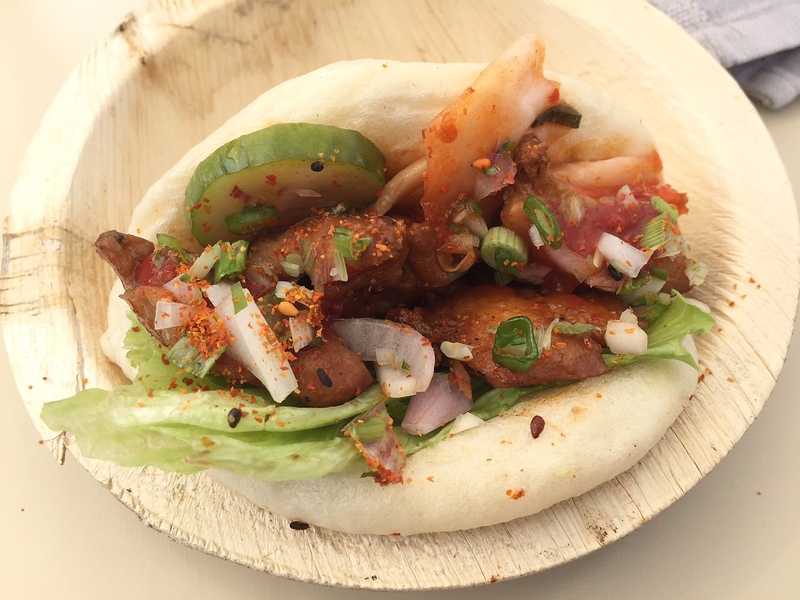 I do love Bao buns, I used to eat them a lot in Vietnam and didn’t get bored of them. The filling is always surprising and combine so well with the softness of the bread. I am not a big fan of sushi but not because it doesn’t taste great but because it’s to expensive and you need to eat a lot of it to feel full. Absolutely my kind of place to visit and taste. I was quite happy you noted that they were careful about who was presenting the food. I get so tired of visiting so called food festivals in N. America and its all about the KFC and McD’s type of restaurants – that simply is not food to me. I adore trying new flavours and this type of event is sure to bring out both the best and the worst food..lol..but that is not a bad thing.